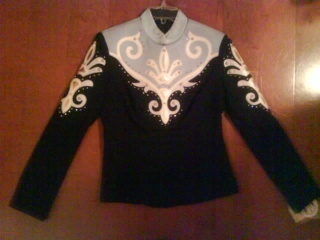 Stunning navy and light blue Hobby Horse western tunic type show shirt. Size Ladies Medium, plenty length in the sleeve. Very comfortable streachy material that zips up in the back for a clean fit. Never been worn, still has it's $269.00 price tag on it!! Has barely noticable discoloration in the white trim between the leather top and polyester base. Leather top and collar are slightly off color.  Judges will never see it! Willing to take best offer! Dang...I'd like to pick this up after Scotts! It's lovely! It fits great on me, so Im sure it would look wonderful on your Rebecca! I've got some planning in the works on getting to Scottsdale...so if I end up being able to I will for sure bring it with me! I think you are more petite than I am...but I can always try it on if you make it! As I've only ridden hunt seat in a show...that's the only show clothes I have...is this shirt suitable for western pleasure show ring?...I would have to buy the pants, chaps, etc...also...can you measure the sleeves from the shoulder seam to the wrist?...I have very long buggy whip arms. Thanks Kaitlyn! 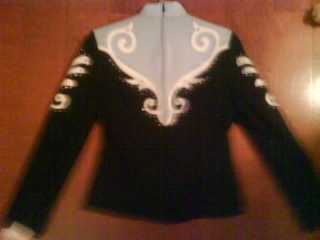 Yes, this is a rail type shirt (Western Pleasure) as well as can be used in Horsemanship, Showmanship, and Trail, but in most cases it is a little too fancy for reining. I will get those measurements for you tomorrow. But it fits my arms and I can never find anything long enough for me! The sleeves from shoulder to wrist measure at 25".